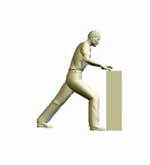 Can perform general, non-weight bearing lower limb strengthening, e.g. straight leg raises, leg extensions, leg curls, hip abduction in side lying etc. After 6 months can introduce eccentric calf strengthening program to encourage tendon remodelling and increase strength. Patient in equinus front slab mobilising touch weight bearing. Equinus front slab to remain on at all times. Patient in removable equinus front slab. Remove front slab for 5 minutes every hour whilst sitting with the injured leg hanging and perform active ankle dorsiflexion followed by passive plantar flexion. Ankle not to be dorsi-flexed beyond neutral during the active dorsiflexion component of the exercises. Patient in walking boot with heel raise. 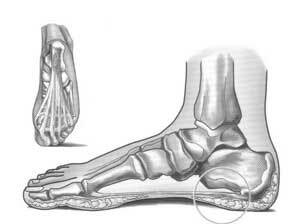 Continue with active dorsiflexion and passive plantar flexion exercises (as previously described). Continue to mobilise touch weight bear wearing the walking boot day and night except for period when performing exercises. Patient to weight bear as tolerated in walking boot with heel raise. Continue exercises as previously described. Patient allowed to remove walking boot at night. Remove walking boot and mobilise weight bear as tolerated in supportive shoes. 1 cm heel raise in shoe. Commence physiotherapy, focussing on active and passive range of motion. No resistance training for calf at this stage. Gradually remove heel lift in shoe. Commence calf stretches in standing. Commence theraband stretching of calf. Can commence calf raises from floor, starting on both feet and slowly increasing weight through operated side as comfort allows. Can progress calf strengthening to a step when able to perform 15 single-leg repetitions on affected leg. Aim for dorsiflexion > 8cm (toe from wall test). Can commence jogging when able to perform 15 single-leg calf raises off a step (normally 6 months post-op). The plantar fascia is a thick band of tissue that arises from the front of the heel bone and fans out to cover the sole of the foot. This band provides support for the arch of the foot and assists with shock absorption when walking and running. Plantar Fasciitis is an overuse condition and more accurately should be described as a degeneration of the tissue, making it very difficult to treat. Risk factors include flat or high-arch feet, reduced ankle dorsiflexion (knee over toes), overweight, inappropriate or non-supportive footwear and tight hamstring and calf muscles. People with Plantar Fasciitis often report pain on the inside of the heel, which is worse first thing in the morning or after a period of rest. While x-ray may reveal a heel spur (not usually related to pain) and ultrasound may confirm the condition, often a diagnosis is made within the clinic. Treatment for this condition may include activity modification, orthotics, golf-ball massage, stretches (hamstring, calf and plantar fascia), ice after activity, taping, silicone heel pads, night splints, footwear changes and anti-inflammatories (shortterm relief). Surgery is very rarely indicated. Toes up box, slide foot to floor and push knee forward over toes. Hold 30 seconds, 5 times. Back leg straight, heel on ground, lunge forward until you feel a gentle stretch in your calf. Hold 30 seconds, 5 times. Belt around foot, knee slightly bent. Pull leg back until you feel gentle stretch behind thigh. Hold 30 seconds, 5 times.